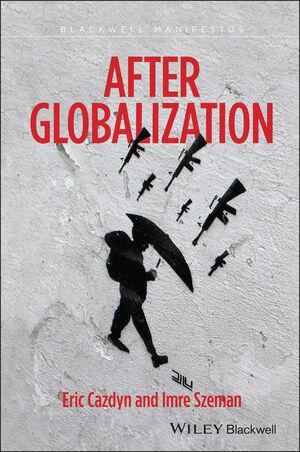 In lively and unflinching prose, Eric Cazdyn and Imre Szeman argue that contemporary thought about the world is disabled by a fatal flaw: the inability to think "an after" to globalization. After establishing seven theses (on education, morality, history, future, capitalism, nation, and common sense) that challenge the false promises that sustain this time-limit, After Globalization examines four popular thinkers (Thomas Friedman, Richard Florida, Paul Krugman and Naomi Klein) and how their work is dulled by these promises. Cazdyn and Szeman then speak to students from around the globe who are both unconvinced and uninterested in these promises and who understand the world very differently than the way it is popularly represented. After Globalization argues that a true capacity to think an after to globalization is the very beginning of politics today. Eric Cazdyn is Professor of Cultural and Critical Theory, Psychoanalysis, and Asian Studies at the University of Toronto. He is author of The Flash of Capital: Film and Geopolitics in Japan (2003) and the forthcoming book, The Already Dead: The New Time of Politics, Culture, and Medicine. Imre Szeman is Canada Research Chair in Cultural Studies at the University of Alberta. He is co-editor of Cultural Theory: An Anthology (Wiley-Blackwell 2010), author of Zones of Instability: Literature, Postcolonialism and the Nation (2003) and co-author of Popular Culture: A User?s Guide (2nd. ed. 2009).